Caller ID isn't coming until later this year. For now, anyone you call will see “Unknown” or “No Caller ID” on their end. OK Google, phone Home. First announced at I/O in May, Google is ready to launch hands-free calling via its voice-activated Home speaker, letting you get in touch with anyone in the U.S. or Canada without lifting a finger—and for free. Starting Wednesday, you’ll be able to use your Home speaker to place a call to virtually any person in your contacts or business across the U.S. or Canada, but there’s a catch: The recipient won’t know who’s calling. Since Google Home uses its own number to place the call, the recipient will see “Unknown” or “No Caller ID” on their end. Google says it hopes to allow users to link their mobile numbers by the end of the year. The system is currently only available for outgoing calls, so you won’t be able to ask Home to answer incoming calls when your hands are occupied. Google hasn’t announced whether it will support Home-to-Home calling in the future. Unlike Amazon, which recently launched a similar feature on its Alexa-powered Echo devices, the recipient doesn’t need to have a Home or even a Google account. And with multi-user voice recognition, your Home speaker will know who is asking to place the call, so it will use the correct contact. If you’re a Google Voice or Project Fi user, you can choose to have the person on the other end see their phone number in Assistant settings inside the Home app. Users of those services will also be able to place international calls. However, Google warns that 911 emergency calls are not supported on Google Home. Voice calling for Google Home is rolling out to all speakers today. To check if you have the feature, ask your device to place a call. 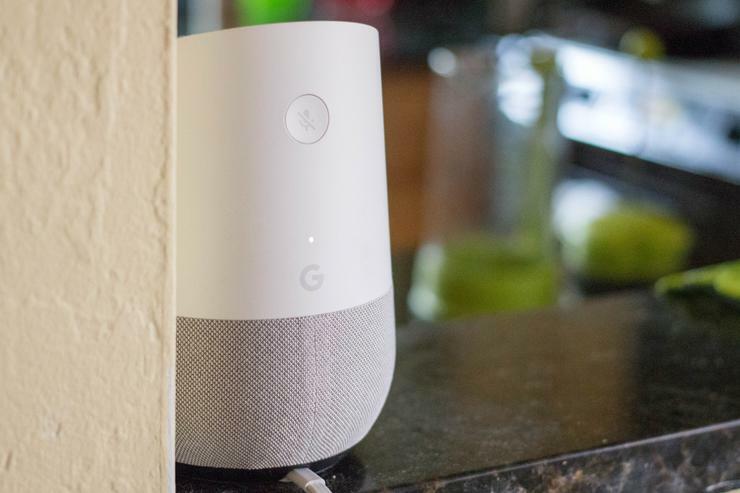 The impact on you—and your Home: Voice calling on Google Home isn’t quite the killer feature we thought it would be, but at least the pieces are definitely in place for something awesome. The ability to call someone by using your Google Home speaker is neat, but in the age of cell phones, where most of automatically decline or simply block unknown numbers, the lack of caller ID is a bummer. And we’d also like to be able to call other Home devices, like Amazon allows with the Echo. So we'll probably be sticking to our phones for now but we could see it becoming an awesome feature in the future.